Elwi-6010 plus has wide applications and the most important is its use in joining pipe lines, where the electrode is operated in all welding positions. Elwi-7010 is recommended for welding api grades x42, x46, x52 and x56 pipe and the root pass upto api grade x70. Welding api grades x42, x46, x52 and x56 pipe and the root pass upto api grade x70. 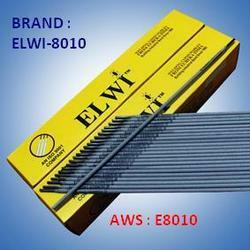 Cellulose coated electrode for vertical down pipe welding higher strength pipe steels.